The Health and Welfare Information Systems Center (TEHIK) operating under the Estonian Ministry of Social Affairs has announced a public procurement for finding two developers for the National Social Insurance Board's service modernization project SKAIS for a period of three years, the estimated cost of the tender is 8 mln euros, informed LETA/BNS. So far, the state has spent 15 mln euros on the development of SKAIS. Offers can be made for the new tender until Feb. 20, the aim, if possible, is to enter into framework contracts with two bidders who will start developing the public services of the social protection insurance field and carry out work related to the services, it appears from the procurement notice. The planned duration of the framework agreements is three years and the estimated cost is 8 mln euros. The task will be to implement the continuation developments of SKAIS2 for the realization of missing functionalities, including the development of the X-Road interfaces between information systems and the development of interfaces between business components, developing supplements and changes and developing new services abd data migration from SKAIS1. In April of last year, framework contracts in the amount of 10 mln euros were established with AS Nortal and OU Trinidad Wiseman for carrying out the development of the second version of SKAIS. Nortal's task is to tidy up the architecture of SKAIS, implement the continuation developments of SKAIS2 for the realization of missing functionalities, the maintenance of the SKAIS software and the carrying out of other tasks. The task of the second tender winner, Trinidad Wiseman, is designing the user interfaces for citizens, service providers and officials. "It is necessary to find additional partners to ensure the possibility of developing the functionalities of various services in parallel. The wish is to complete the services as quickly as possible in order to save the state's resources and offer users better solutions," it is said in the procurement document. According to the Public Procurement Register, there have been no violations regarding the contracts entered into with Trinidad Wiseman and Nortal. 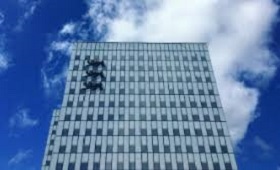 The Social Insurance Board in summer 2017 decided to terminate an agreement on the development of information systems for the Social Insurance Board concluded with the Estonian arm of the Finnish IT group Tieto several years ago on the grounds that deadlines are not met and there are many errors. Tieto received over 5 mln euros under the agreement from Estonia. The Ministry of Social Affairs, Tieto Estonia AS and OU Icefire in October 2017 concluded a compromise whereby the Estonian arm of Tieto will paid the state 270,000 euros for the failure of the SKAIS2 project. Initially, the Ministry of Social Affairs sought a fine of 855,000 euros from Tieto. SKAIS2 is the Estonian National Social Insurance Board's service modernization project, during which the board's IT systems will be modernized, user friendly services for people will be developed and the board's organization of work will be improved.